This is what real leadership looks like! Everyone is watching Jacinda Ardern, most of us with astonishment and respect. She is showing what real leadership looks like. Jacinta Ardern is a role model who leads with compassion, kindness, empathy, and love - yet is strong, determined and brave all at the same time. Her leadership has made us stop and pay attention. We’ve long suffered under poor or half-hearted leadership – leadership which has one eye on the voting public or the next promotion. We’ve longed for a leader who cares about us and really listens to what we say. We’ve ached for real leadership but forgotten what it looks like. Jacinda Ardern has shown us what we’ve been missing and, more importantly, proved that it can still be found and it’s human. “Leadership” is an industry and the role of leader has been pulled apart, picked over and reshaped into some kind of unachievable model of superiority and prestige. We’ve made leadership something bigger than us. We’ve made it about power and success, and we’ve shaped it into something we think we’ll never achieve. We’ve turned it into a label instead of a way of life. We strive to become leaders by position description instead of leading through our actions. Jacinda Ardern has shattered that perception with her dignified, compassionate and powerful leadership. Her actions aren’t driven by politics. She isn’t choosing her behaviour based on stereotypes. nor building a platform for self-promotion. She’s not worrying about gender models of leadership. She’s just out there doing her job. She’s leading her country. She’s a human being trying to care for her people and lead them through a tragic time. Making new laws might help control the way society operates but it won’t heal the emotional wounds of a country. Sometimes the best thing you can do as a leader is to pull your people together and hug them. That’s where Jacinta Ardern stands out. She is completely genuine in her empathy, integrity and her actions. We’ve watched her grieve, hug the families of the victims and defy terror. We’ve watched her pull her people together and unite them as “us,” one nation standing together. If there is one good thing to come out of this tragedy, it’s the shining light of true human leadership. It’s strong and decisive, and it’s kind and compassionate. It’s responsive and it’s real, with no other motive than to heal and protect. It’s human and vulnerable and emotional, with no apologies for it. 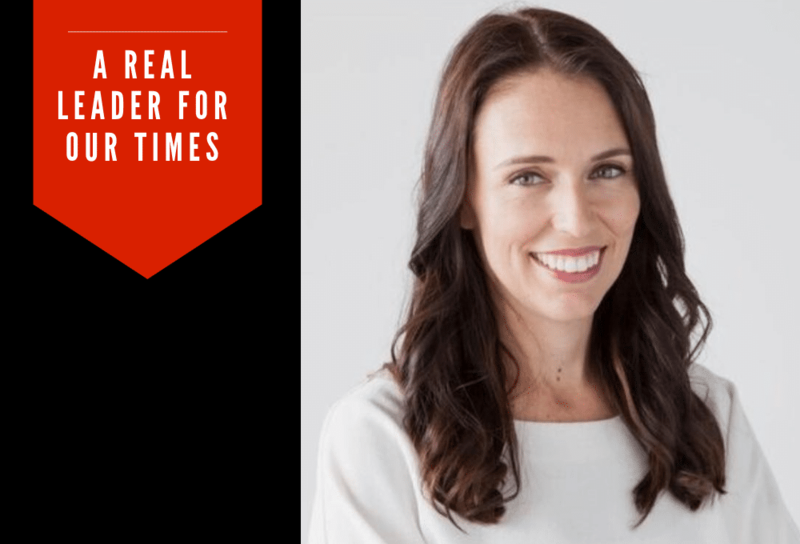 We can all learn from Jacinda Ardern. She has helped us remember what a leader really is – and it’s not a title. You can step up as a leader whenever you choose to and do it by leveraging compassion and kindness. These natural human qualities have been overlooked and underrated for too long, for without them, leadership is purely technical. Stop suppressing your soft leadership skills and step up as a natural leader. Jacinda Ardern can’t change the world on her own. She needs us to follow her example. By the way, don't misunderstand softer leadership as soft or weak, it'as about tough empathy, you can be compassionate, kind and empathetic at the same time strong, rational, determined and decisive. Caroline Kennedy is one of the top global coaches, and one of the few executive coaches with experience as a CEO leading multimillion-dollar organisations, turning around businesses in challenging and highly competitive environments in declining markets to lead them back to profit. There’s no time like the present to hire an executive coach to excel your performance and realise more of your potential. If you’re looking for a reliable executive coach, who has a history of achievements Caroline Kennedy is the expert to call. Reach out via email @[email protected] or call 1300 88 53 94 or book your free 30-minute power session with Caroline below.